A new policy briefing published by Professor Janice Carruthers (QUB) and Professor Wendy Ayres-Bennett (Cambridge) compares educational policy in modern languages across the four UK jurisdictions and makes a series of policy recommendations. 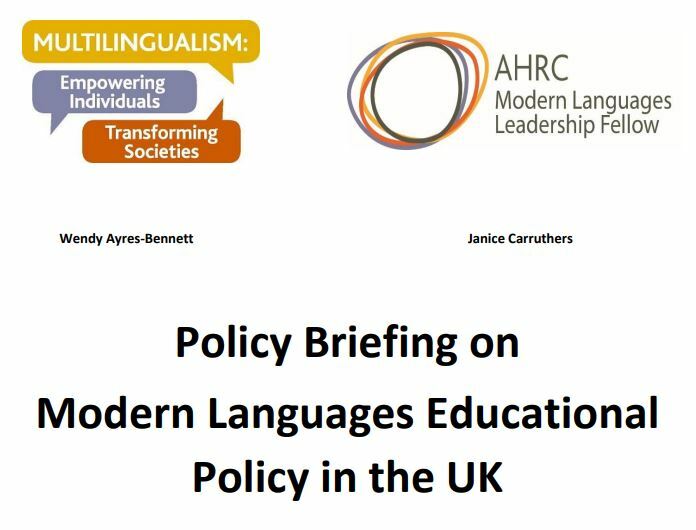 Queen’s University Professor and AHRC Modern Languages Leadership Fellow, Janice Carruthers, alongside her colleague Professor Wendy Ayres-Bennett, University of Cambridge have issued a new policy briefing on Modern Languages Educational Policy in the UK. It looks at the role of educational policy on modern languages provision and learning in UK schools and includes a comprehensive set of recommendations to enhance policy and improve the uptake and quality of provision of modern languages teaching. The briefing draws attention to the uneven provision for languages across England, Northern Ireland, Scotland and Wales and highlights areas of concern. At primary level, key issues include variability in teacher confidence and competence in delivering modern languages and in the amount of time devoted to language lessons, particularly since they are often squeezed out by competing priorities due to a lack of status compared with other subjects. At secondary level, the report cites the continuing decline in the uptake of languages at GCSE and A level and the factors behind this, including the perceived difficulty of languages, obstacles to recruiting teachers, and the mismatch at times between content, level of language skill and age. Adequate training and CPD for primary school teachers to give them the competence and confidence to teach languages. A joined up strategy for retention and recruitment of language teachers across the UK. This Briefing is part of our ongoing work on policy matters affecting modern languages in the UK, and draws on a policy workshop held last December bringing together researchers and civil servants from across the UK. Comparison of the different jurisdictions provides a useful lens for evaluating the strengths and weaknesses of different policies. Our aim is to highlight areas where improvements should and could be made and to make realistic policy recommendations for the short and longer term. 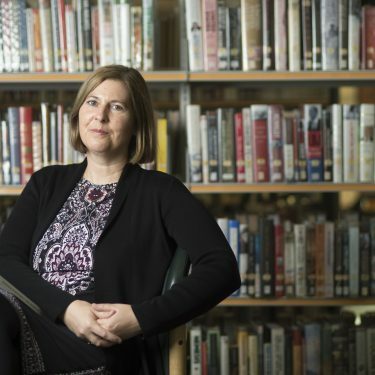 Janice Carruthers is Professor of French Linguistics at Queen's and Leadership Fellow in Modern Languages with the Arts and Humanities Research Council. Janice's AHRC Fellowship involves a three-year funded project on language policy, entitled Foreign, Indigenous and Community Languages in the Devolved Regions of the UK: Policy and Practice for Growth. She is also Deputy PI and Strand Lead on the Queen's strand of the AHRC-funded Open World Research Initiative project - Multilingualism: Empowering Individuals, Transforming Societies - working with partners in Cambridge, Nottingham and Edinburgh.